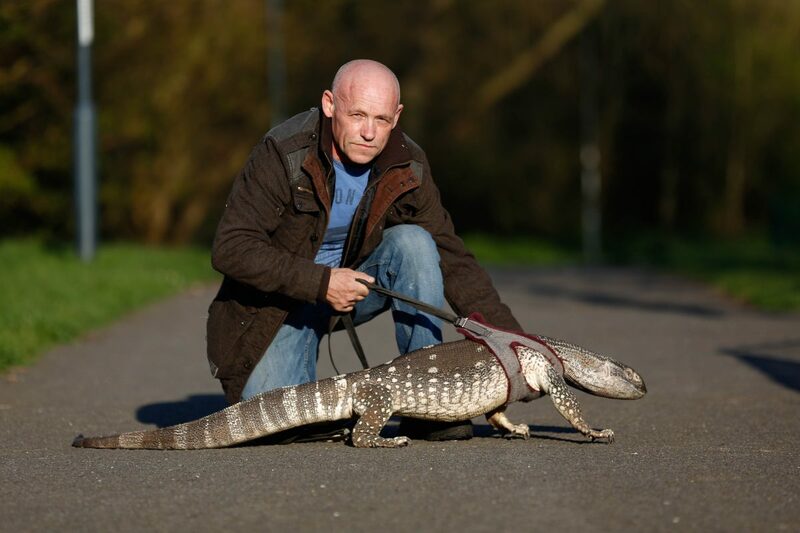 A dad-of-one has been ordered to keep his huge pet lizard on a LEAD while walking it in a park – after it scared other dogs. 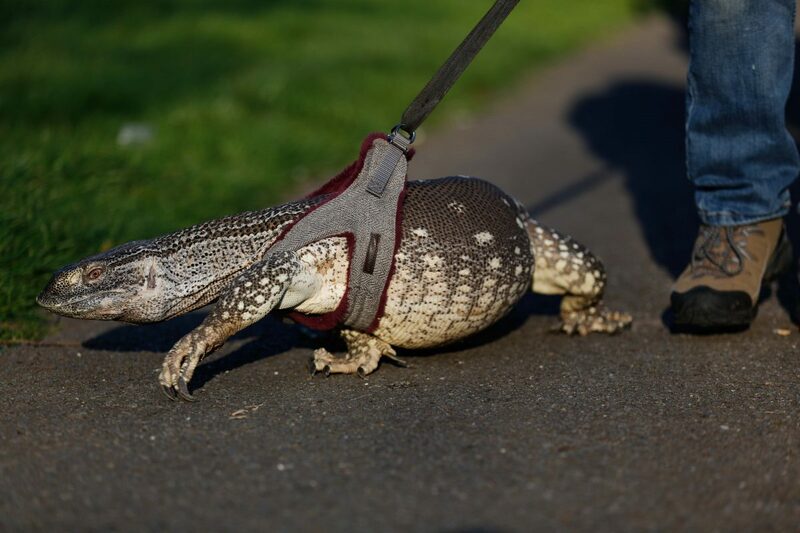 Dozens of dog owners and park users said they were worried the three-stone 5ft-long critter would attack their pets or even injure children. But town hall chiefs agreed to lift the ban if Gary agreed to keep Thor on a lead while in Markeaton Park, Derby. Gary bought Thor ten months ago to go with his collection of 31 snakes, six lizards and seven spiders which he keeps at his home in Sinfin, Derby. The lorry driver said: “I had reached an agreement with the council to say it’s ok to walk as long as he is on a lead, just like a dog. “I mainly walk him for exercise and fresh air. “Also I just like to let people see him and maybe experience touching him. “He can run really quickly and he wouldn’t just run in a straight line. “He’d be all over the place, it would be like trying to catch a chicken. “He could do a lot of damage, his claws could slice your arm or head open. “But that would be very out of character. “Thor has a really cool temperament, he’s not aggressive. “When he’s had enough, he’ll whip his tail around. “Some people get scared and thing all reptiles will do is bite and scratch you. “But I want to show that is not the case. 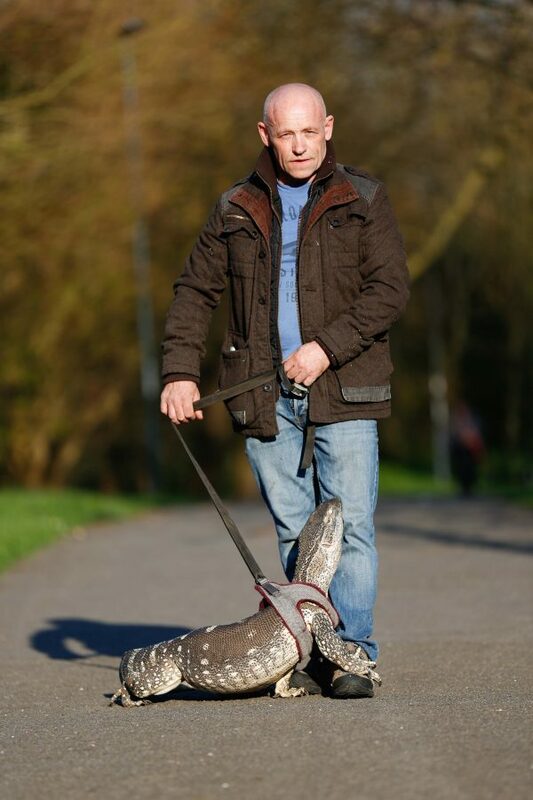 “I tend to walk Thor in the summer time and basically when the weather is good. “He loves the trees and water in the park, he likes to get his claws into the trees. “He eats braising steak about four times a week, he’ll eat rats and fruit. “He weighs about three stone and is about five foot nine inches tall.